Add a decorative touch to your home interior with this amazing Chaandhi Kar Mirrored Metal Embossed Cabinet from our collection of mirrored furniture. 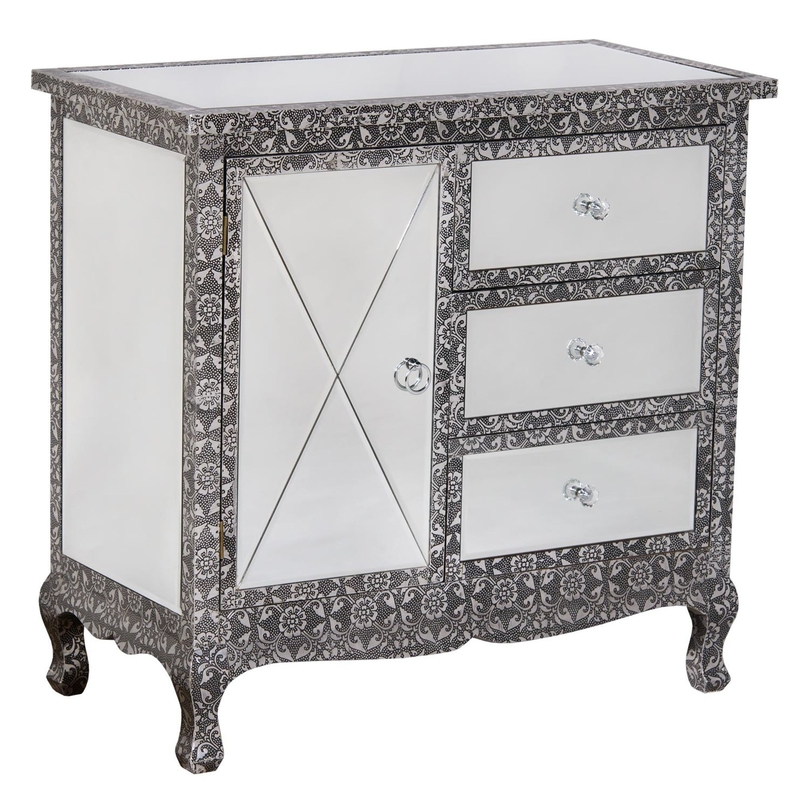 Features a beautiful black and white detailed design around the whole cabinet. It's finished off with mirrored details and crystal handles.